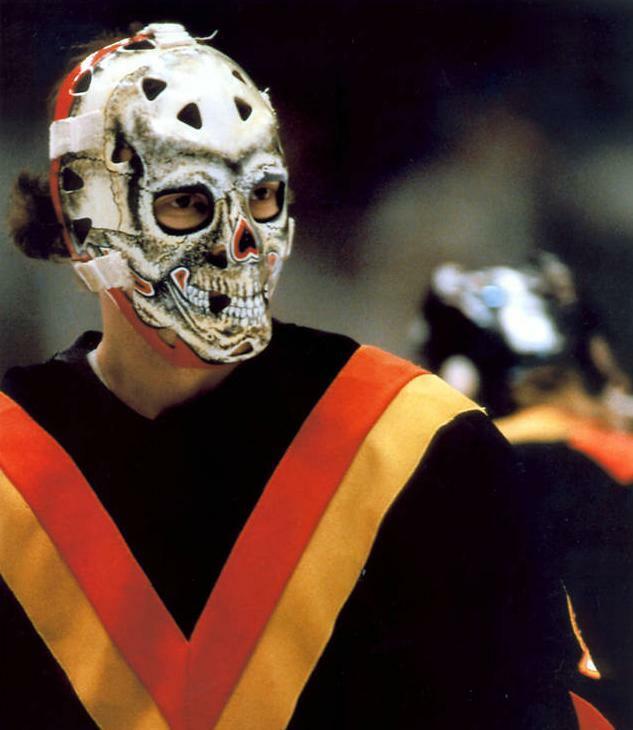 « LUONGO — Who Was That Masked Man Anyway? The Canucks should act fast to sign the heads-up D-man Chris Tanev and make him part of the new core of the team. The list of free-agents on the team is Mark Donnelly-thin, and after the Canucks shed some cap weight by trading 85% of Luongo’s contract (but 100% of his services… can’t he play 8 more games for us? ), there is room for addition. The Canucks chances of making the Stanley Cup playoffs are now about as strong as the chances of Phil Jackson retaining the services of Mike Woodson. This off-season is the most important in the franchise’s last ten or so, and certainly the most pressure the “retooling” Mike Gillis has ever faced. Here are the top likely candidates to be re-signed, and to be let go by the Vancouver Canucks this off-season. The Kassian contract will demonstrate the team’s commitment to the player as a cornerstone of the franchise. At some point the hulking defender will be better than someone else’s top six in the NHL. I’m guessing this off-season both the team and the player will decide to part ways after three seasons of steady service on the depth chart. With things going south in Vancouver, Alberts might want to play for a team which isn’t going younger, and the team may want to see what they have in Utica defender Frankie Corrado, who is waiting in the wings. Mike Gillis acquired Kassian for his only semi-successful draft pick in Cody Hodgson so he will seek to make Zack a part of the long-term future of the team. I imagine the big forward will get a contract which represents his current value and his trajectory. If he can be a 20-goal scorer, a contract in the neighbourhood of two million per season for four years could look like a bargain. Tanev will be seeking a contract in the range of $4,000,000 per season. Given his importance to the team, and what they’re already paying Alex Edler, the Canucks would be well served to meet Tanev around that mark. He won’t come cheap after he took the one year 1.5 mil to begin this season. Santorelli was headed for a big-time raise up until he tore his labrum. Now that the shifty center is on the mend, the team holds some strength in the negotiation process to determine his worth going forward. It seems as though Santo has found a home with the Canucks, but it’s entirely possible that he will find other suitors in the NHL in a weak year for free agents. Gillis will probably have to whip out the “no-trade” clause, for whatever it’s worth on the Canucks, in order to retain the free agent’s services. Another Gillis Draft pick which appears to be headed to make it or break it territory in the next season. The diminutive center needs to show something special next season and may take a quick one-year deal to prove himself worthy of more money in ’15. It’s a risky ploy though, as Schroeder has been injured frequently in his young career. The Canucks may have a disgruntled D-man or two to re-sign this summer. Weber’s displeasure at not being used on the first unit power play, in addition to being sent for a conditioning stint in the minors halfway through the season will mean that the Swiss national will be seeking a contract which is with another team. I would expect the team to offer him something under a million, and Weber requesting a trade if the team offers him a qualifying contract at all.